Electrical installation testing is a practice that has become more important over time. This is due to the increasing complexity of installations in both commercial and residential spaces. When it comes to electrical work, the top priority is always going to be safety. This focus is the reason electrical standards and wiring regulations exist in the first place. Electrical installation testing serves the purpose of identifying any possible deficiencies. These shortcomings could be areas in which an electrical system doesn’t meet regulations. It’s important to have older electrical systems looked over to ensure they’re still in good working condition. At the same time, new installations need an inspection to make sure they conform to today’s stringent standards. You might also feel inclined to have testing done if you’ve recently purchased a building with preexisting installations. If you’re curious about what makes electrical installation testing so complex, or if you’re wondering why only a professional should be doing it, read on for more information. How In-Depth Is Electrical Installation Testing? There are different phases of an electrical installation to keep in mind. The first step is to perform a visual inspection, which is exactly what it sounds like — an expert will confirm the permanently wired electrical components are compliant with safety regulations. He or she will make sure there are no outward signs of damage, and that the required safety measures are present. After the visual inspection, electrical testing begins. This is where having a qualified individual working becomes even more critical. Everything from specialized training to safety-oriented clothing is necessary for this aspect. In fact, non-authorized people might have to keep a certain distance away from the testing itself. The testing will cover a building’s wiring, as well as its various components. This can include electrical panels, outlets, distribution boards and lighting. Essentially, the examination covers all systems that conduct electricity within a building. The electrician will use the tests to make sure every necessary precaution is in place to reduce the risks of injury or death due to electrical shock. In some cases, the testing will call for exploratory work to complete the job as effectively and safely as possible. Parts of the system might need to be temporarily shut off for this. This means you should make sure you don’t have something important — and electricity-based — going on while the installation testing is taking place. 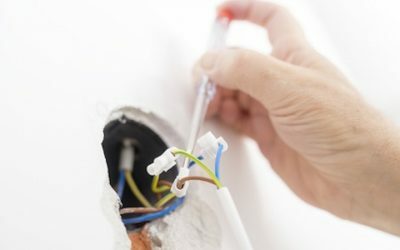 What Areas Do Electrical Installation Testing Cover? Although installations might seem like a single entity, experts look into different areas during testing. One possible example is the testing of RCDs, which protect circuits by monitoring the current flowing through them. If electricity flows down an unintended pathway, which could be a person who contacted a live wire, the RCD shuts the circuit off. This can save a life or prevent serious injuries, which is why testing them is so important. Not only is the risk of electric shock reduced, but your home also receives added protection from fires due to faulty wiring. Tests determine if the RCD is working as it should be by introducing a fault into circuits to ensure the RCD responds correctly. ● Functional tests, which look into whether the various assemblies, controls and drives are properly mounted, installed and adjusted as needed. ● Polarity testing, which verifies the parts of an installation disconnect when they’re supposed to, such as when a current protection device trips. ● Insulation integrity, which is crucial for preventing electrical shock and fires. ● Circuit separation, which confirms the live parts of a circuit are separate from other circuits and the ground. If I Get Testing for My Electrical Installation, Am I Set for Life? A “one and done” approach is certainly desirable. However, your system will always need periodic testing and inspections to some degree. As the wiring in your building gets older, conditions can eventually become unsafe. When you consider the rising electrical demands of the modern day, which continue to increase as technology requires more and more power, inspections become even more important. Regular inspections will provide a bonus in terms of convenience, as your system can receive new updates when needed. This helps you keep up with new power requirements, but most importantly, you’ll be taking measures to protect the people living in your building. At Bryan Electric, we perform electrical installation testing as well as preventative maintenance. This service uses thermal imaging to add years to your system’s lifespan and warns you of potential problems before they occur. For all your testing needs, or for more information about what you can do with your system, contact our team of experts today at (770) 680-2144.